Underneath the old caldera is a moving plume of magma. Dr. Robert Smith has been studying Yellowstone’s earthquakes and it’s Super volcanos for almost sixty years. How impressive is the super volcano? Smith says one ancient eruption killed rhinos in what is now Nebraska. 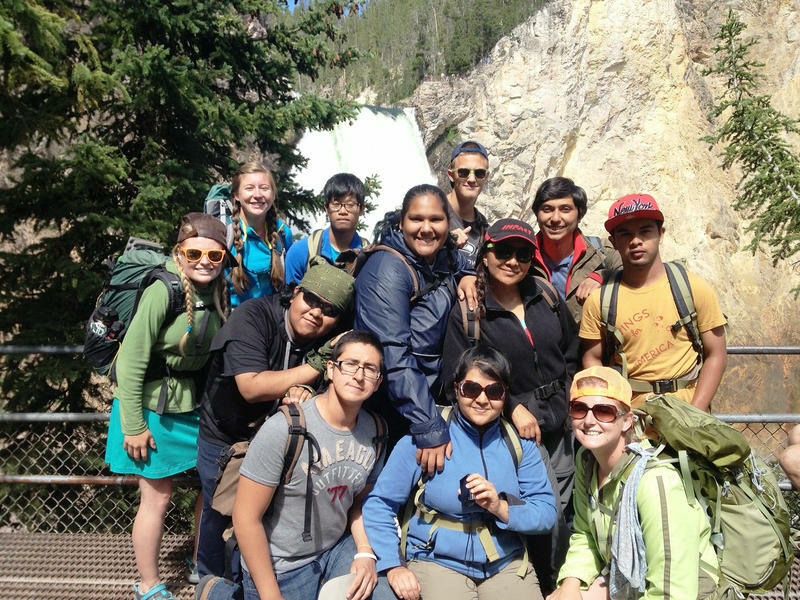 Smith and his students use seismographs to map the magma pool underneath Yellowstone’s volcano, and satellites to determine how much the land swells, or bulges. They found that the magma is much larger than they originally believed. As he sits on his porch in Moose, underneath the towering beauty of the Grand Tetons, Smith explains just how big the magma body is. The title of the paper Smith published with his student Jamie Farrel said “The Yellowstone crystal magma reservoir extends well beyond the Yellowstone Caldera.” Smith said the fact that it’s larger than the caldera is significant. Smith said the new information helps scientists predict where the next super eruption will be. The magma movement is signaled by earthquakes. Smith mentioned the 4.8 magnitude Norris area earthquake that damaged Lake Hotel last spring. 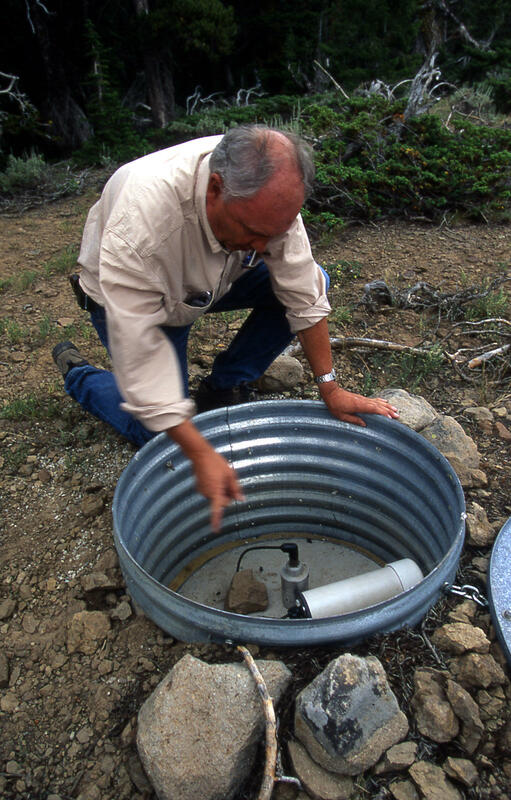 Smith is the expert on Yellowstone’s earthquakes, which are numerous and widespread. And, Smith says the Teton Fault movement could trigger the Yellowstone volcano. So, how likely is it that the big one will blow soon? Yellowstone and Grand Teton National Park have seen a growing number of people operating personal drones inside park territory. 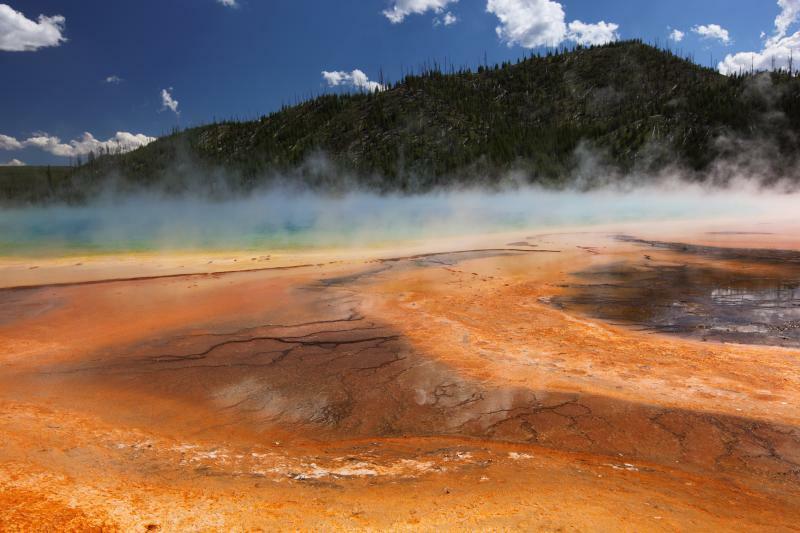 Last week someone crashed their drone into Yellowstone's Grand Prismatic Hot Spring. Park spokesperson Al Nash says the park has struggled to recover the device. Last week an employee of Grand Teton issued a citation for drone use, a first for that park. 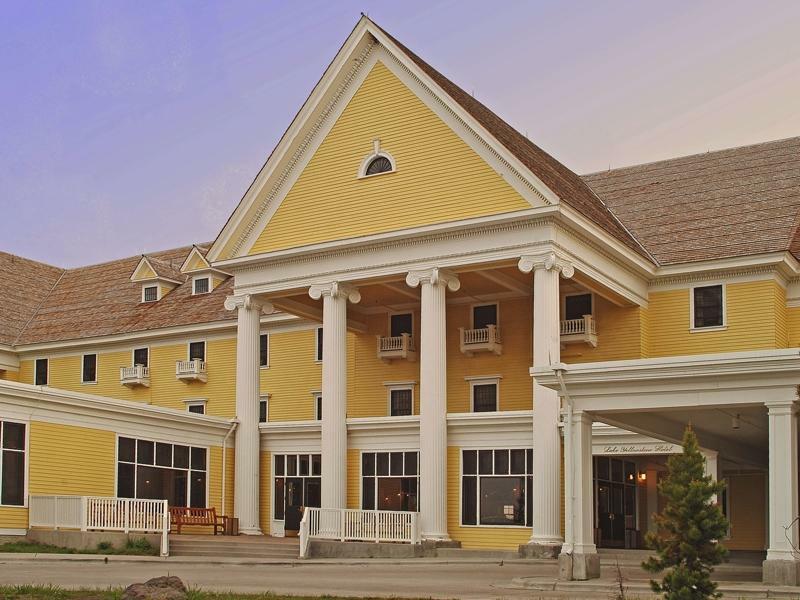 Yellowstone Park is celebrating completion of a two year, 29 million dollar renovation of its oldest lodge: Lake Hotel. Now all of the Lake Hotel’s redecorated rooms are ready for guest now. Penny Preston reports people worked through two bitter winters to complete the project. In 1889, 27 years before there was a National Park Service, construction began on Lake Hotel. It is Yellowstone’s oldest. Two years ago, reconstruction started. “The old hotel had been touched pretty harshly over the years.